On Monday, February 20, after a few days of unusually warm weather, Steve and I went for a short hike in the Carderock-Marsden Tract area, sans camera. 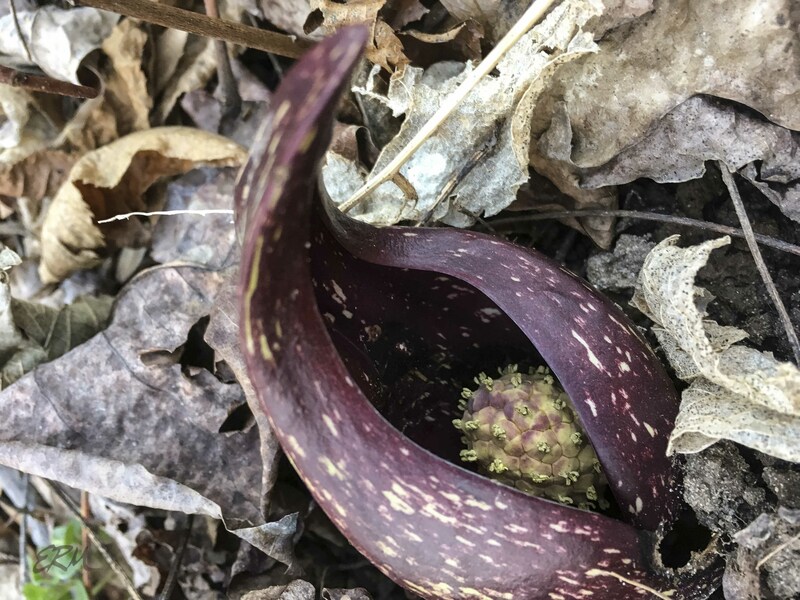 I didn’t expect to see any flowers except for skunk cabbage, but I kept my eyes open just in case. We saw lots of spring beauties (Claytonia virginica) emerging, but only four flowering. This is early, but not the only time: in 2013 I found a few spring beauties on February 18. Still, mid-March is when they generally start blooming. We also spotted a few clumps of Virginia bluebells (Mertensia virginica) just poking up; one had buds. Early April is typically when they they get going. It’s been delightfully warm, but no, the show isn’t starting yet. Not really. So yes, it’s been about five degrees Fahrenheit warmer these past two months. In other news, we found several stands of hibernal leaves from cranefly orchid (Tipularia discolor) and four leaves of puttyroot (Aplectrum hyemale). One other plant has started flowering: lesser celandine (Ranunculus ficaria), a particularly troublesome invasive alien. Steve and I took a quick break from wood splitting this weekend to take a few snapshots.. So yes, the tree that I scavenged wood from was taken down because of emerald ash borer infestation. A few days after returning from Anguilla we spotted a large tree newly cut down, lying by the side of the road in our neighborhood. Always on the lookout for good firewood for the woodstove, I collected a few twigs and identified them using Muenscher’s Keys to Woody Plants (Cornell University Press). The tree was white ash, Fraxinus americana (Oleaceae). This was good news and bad news. Good news, because white ash’s relatively high BTU value means it makes good firewood. 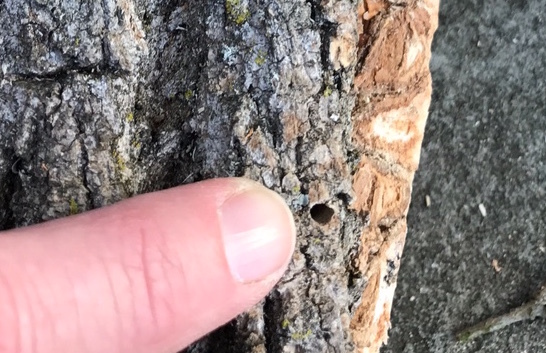 Bad news, because of the emerald ash borer. Emerald ash borer (Agrilus planipennis) is a bright green, half-inch long beetle native to Asia. It was discovered infesting ash trees in Michigan and Ontario in 2002, but is thought to have been there for at least ten years prior. The adults are known to travel more than ten miles; the larvae travel through wood harvested as lumber and firewood. Since 2002, EAB has spread throughout most of the US (and parts of Canada) east of the Rocky Mountains. There are about sixteen species of ash (Fraxinus) native to the US, and all of them are vulnerable to EAB attack. 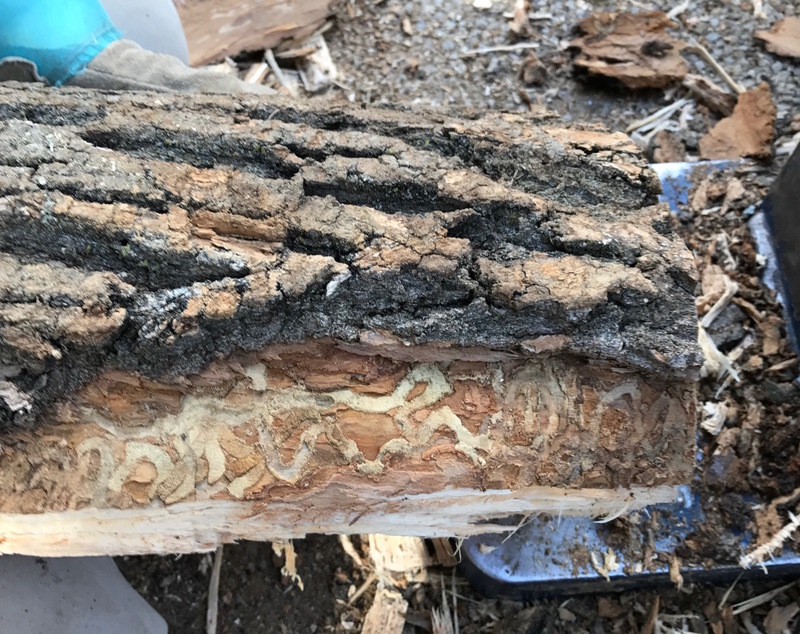 Adult beetles lay eggs in the tree bark; the larvae then burrow in and start feeding on the inner bark and outer sapwood, emerging as adults after one or two years and leaving characteristic D-shaped exit holes. Although adults eat the leaves, it’s the physical damage to a tree’s vascular system caused by feeding larvae that leads to tree death. Nature abhors a vacuum. When a large die-off occurs in an ecosystem, every other organism in that system is disrupted. Imagine if, say, one tenth of the trees in a hardwood forest die in a short time. Now there are large holes in the tree canopy, and more sunlight reaches the understory and the forest floor. As a result, shade-loving plants will decline and eventually die, to be replaced by plants that like more sun. Some tree species will germinate and grow better as a result, and some will do worse. The soil ecology will change: there will be less competition for water from tree roots, and the fungal communities that form mycorrhizal associations may be affected. And as plant communities change, so do the insects and birds and larger animals that depend on them. So what can be done? The answer is unclear. There are some pesticides that are effective if applied correctly, at the right time, which is good news for homeowners and municipalities. But we can’t selectively treat eight billion wild trees. Research is on-going, of course. As for firewood, check with your county or state government. There are quarantine areas, but moving wood within an area is usually okay. Before collecting the wood in my neighborhood, I checked with an extension agent, a DNR employee, and a forestry expert; all said it was okay to take the wood so long as I didn’t transport it over county lines. Why was the tree in my neighborhood taken down? I had a good close look at the collected wood, and didn’t see any larvae-filled galleries or D-shaped holes. Was it cut down as a preventive measure? I don’t know, but I sure hope things don’t get to the point where we have to remove healthy trees to contain this threat. …in ecology, a species that has a disproportionately large effect on the communities in which it occurs. Such species help to maintain local biodiversity within a community either by controlling populations of other species that would otherwise dominate the community or by providing critical resources for a wide range of the species. When you learn about plant families, you start to see all the similarities between species. All the flowers pictured below, except the burnet, are just so clearly rosaceous. Click on the goatsbeard picture and zoom in; you’ll see it there, too. 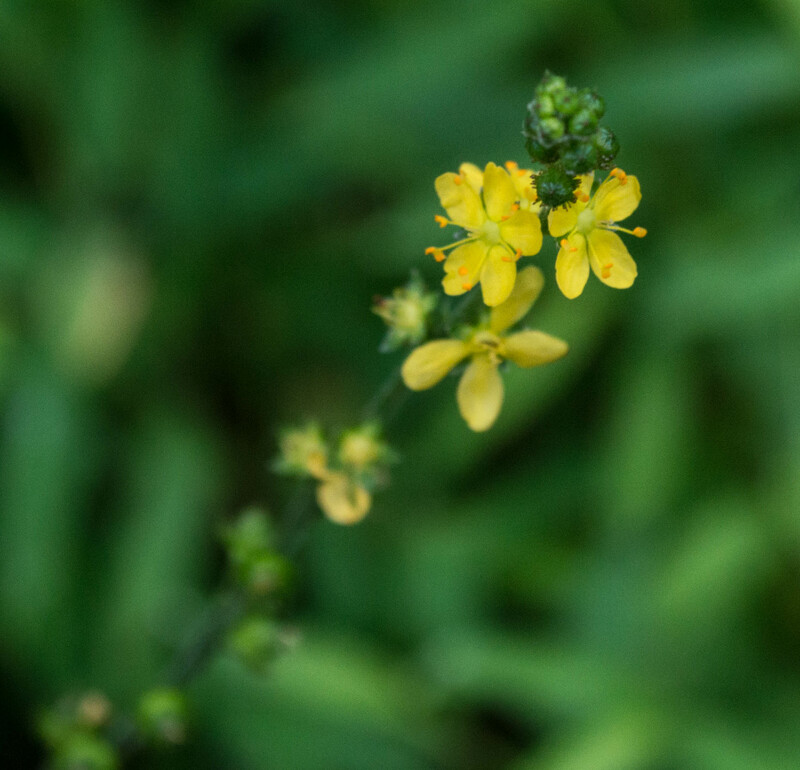 Five species of agrimony are found in the Maryland piedmont. I love this one particularly for the fantastically complicated leaves (click on the image for a larger view). I’ve only ever found one of these plants, but I visit it every season. 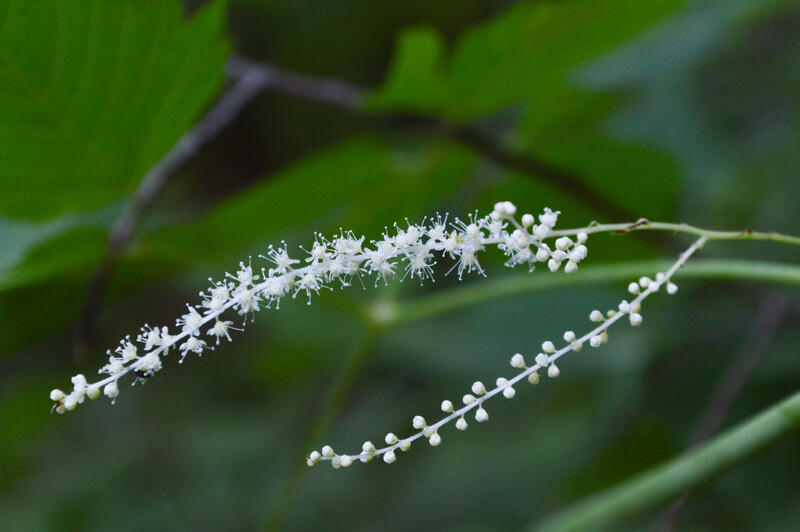 It’s on the Cabin John Trail, and grows to about three feet tall amid a stand of Japanese knotweed. This is an impressively large perennial, growing as tall as six feet in wet soils when it has enough sun. You really have to zoom in to see the characteristic rose family structure of the flowers. In Maryland this species is only found in Garret and Baltimore counties; this photograph was taken in Iceland. If you zoom in you can see some of the typical rose family leaves, but most of the green in this picture comes from horsetails through which the strawberry is flowering. Some people consider this a weedy plant; it certainly can grow aggressively. It can be found in almost every Maryland county, and indeed over most of the eastern US. Only a few sources show this species occurring in Maryland, but there’s no county data. Based on county data from nearby states, I’ll guess that if it does grow here, it will be in Allegany and Garret counties. 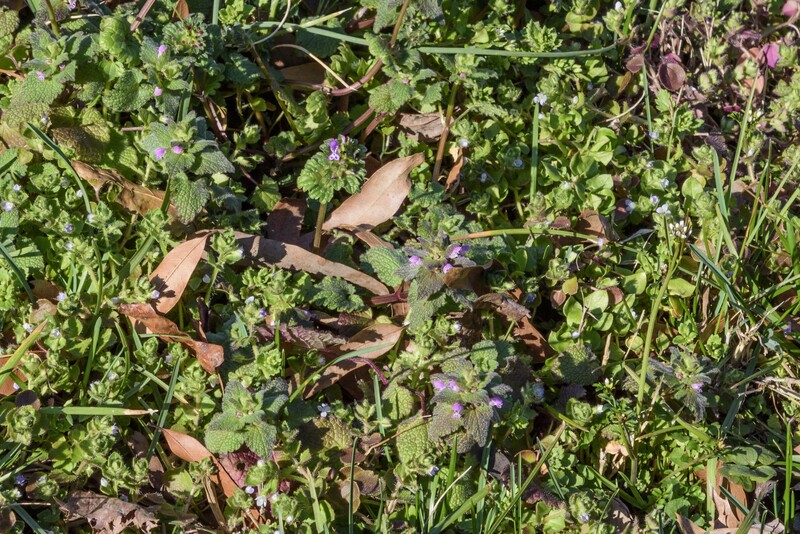 It’s a lovely low-growing herb with multi-colored flowers. These plants were photographed in Iceland. This is one of the least eye-catching flowers I’ve ever spotted, but it is in the rose family. Those flowers are about one-eighth of an inch across. This very low-growing, vining plant seems to like dry, rocky soils. 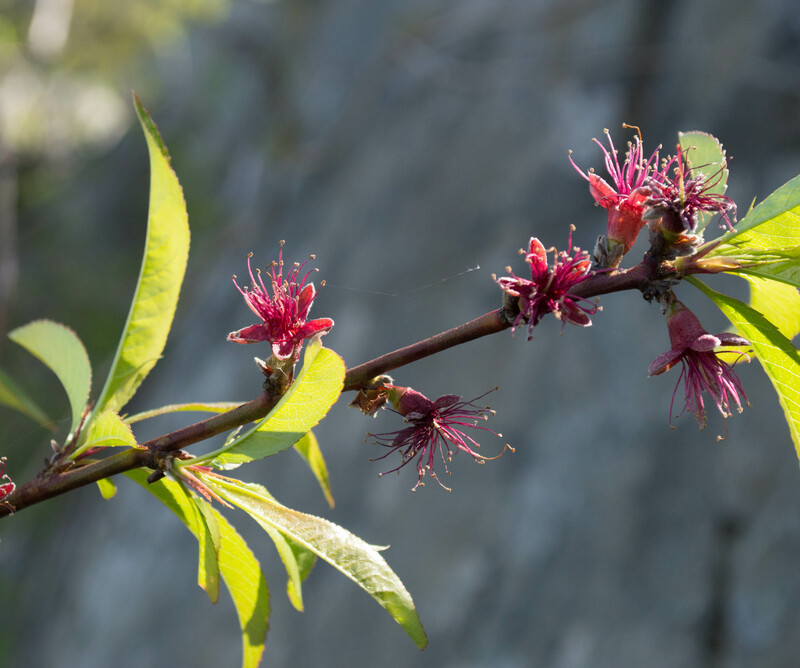 It’s easily found near Carderock; look for it blooming from late April to late May. 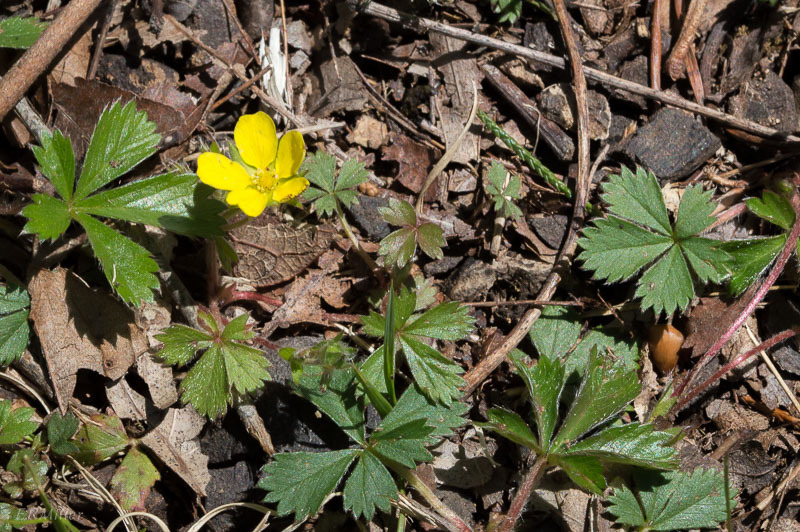 Very similar looking to dwarf cinquefoil, but the plants seem to be more aggressively vining. The specimen shown here was part of a large mass twining through other plants. 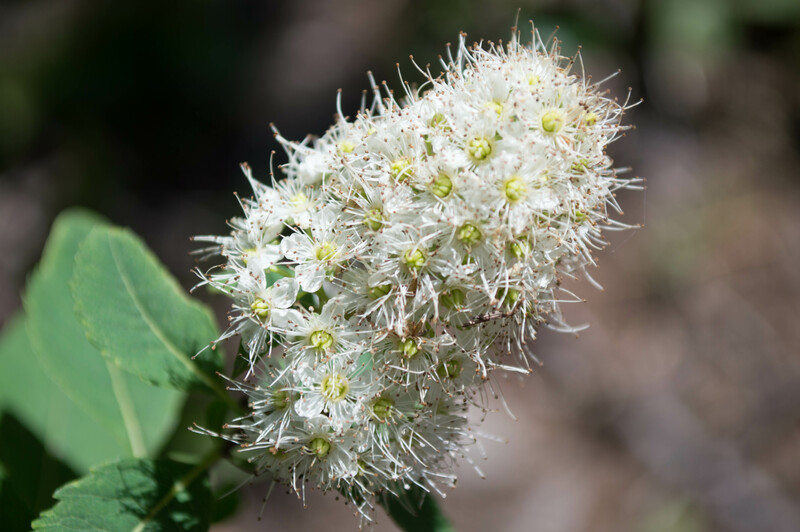 This small shrub bears its flowers singly and can be found throughout the Maryland piedmont. I planted a small one in my garden last year and the rabbits got it, damn them. Will try again this spring, with rabbit repellent on hand. Wouldn’t it be nice to have an informal hedge comprising native roses? The fragrant flowers are borne on panicles, and although the fruits are edible they aren’t very palatable. 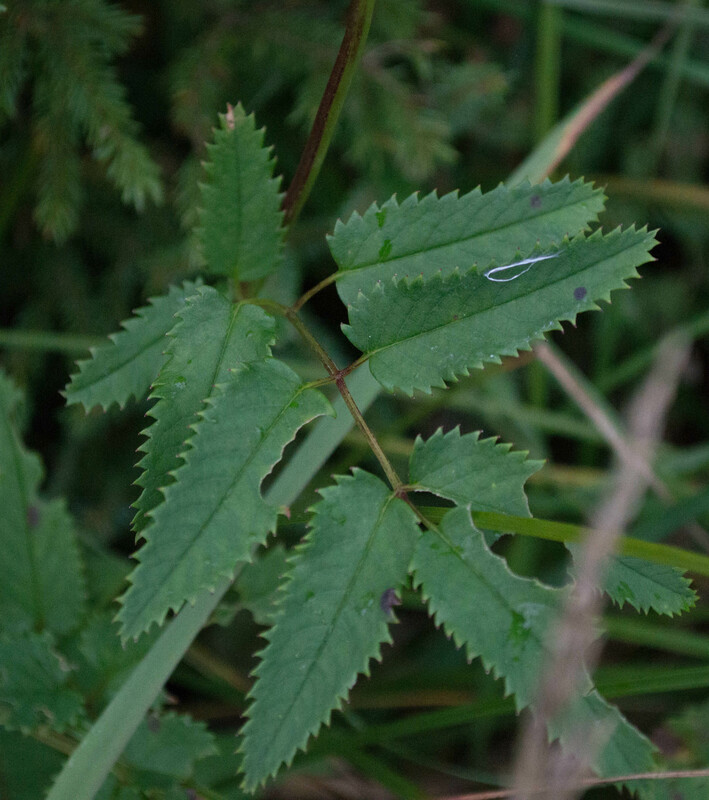 It’s a suckering shrub, like other Rubus species. 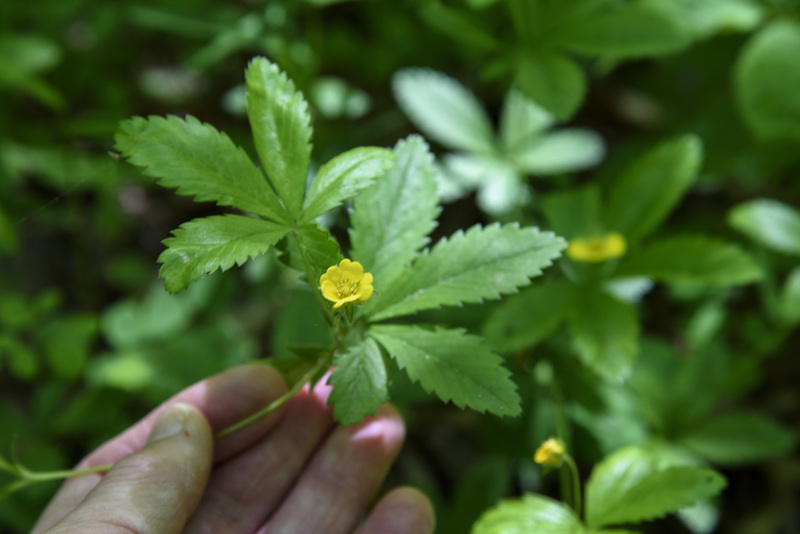 Look for it growing wild in Maryland in Montgomery County and all the counties to the west. 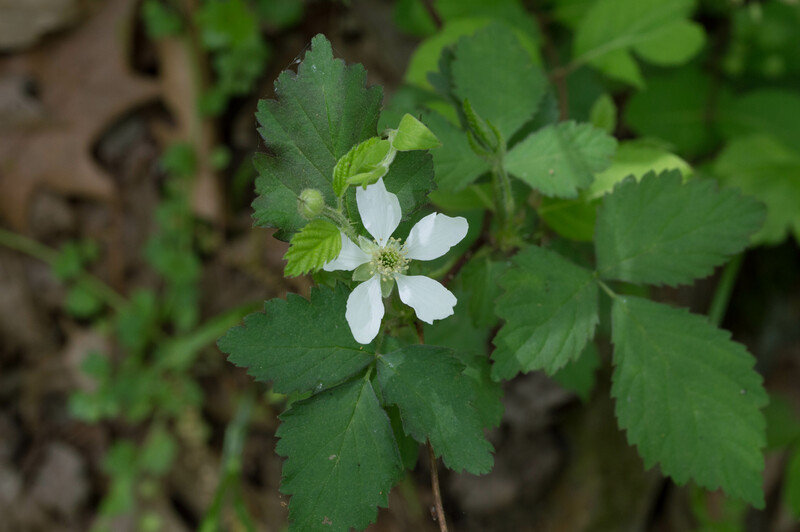 I didn’t have clear enough pictures to say for sure which species this is, but this is a typical dewberry flower and habit (the canes tend to trail along the ground rather than arching like blackberries and raspberries do). 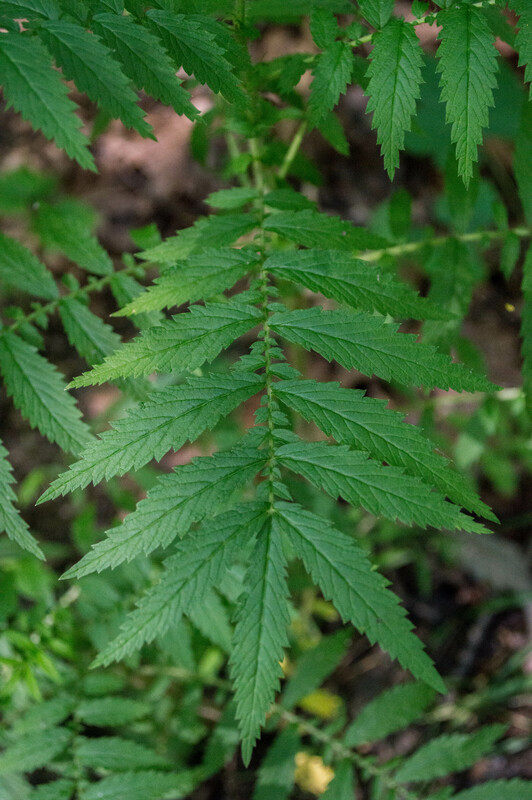 Carrol County is the only Maryland piedmont location for this species, listed as S2/threatened. It’s threatened or endangered in eight other states, too. This specimen was photographed in Nova Scotia. 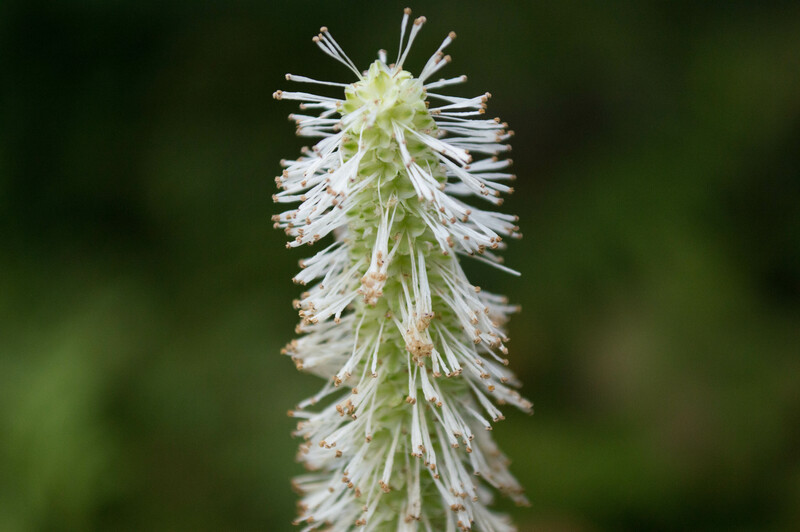 The flowers are borne on a spike and have no petals, just a four-lobed light green calyx and many long stamens. This short shrub, with flowers borne in panicles, can be found in most of the Maryland piedmont (but I took the picture in Nova Scotia). It’s range includes the upper Midwest and New England, Canada, and along the Appalachians into the South. It’s endangered in Kentucky and Tennessee. Gardeners grow many rose family plants beyond roses themselves. Herbaceous ornamentals and shrubs include lady’s mantle (Alchemilla), goat’s beard (Aruncus), meadowsweet (Filipendula), avens (Geum), burnet (Sanguisorba), false spiraea (Sorbaria), cinquefoil (Potentilla), kerria, spiraea, flowering quince (Chaenomeles), pyracantha, and cotoneaster. Trees include hawthorn (Crataegus), mountain ash (Sorbus), ninebark (Physocarpus), and of course the flowering plums and cherries. 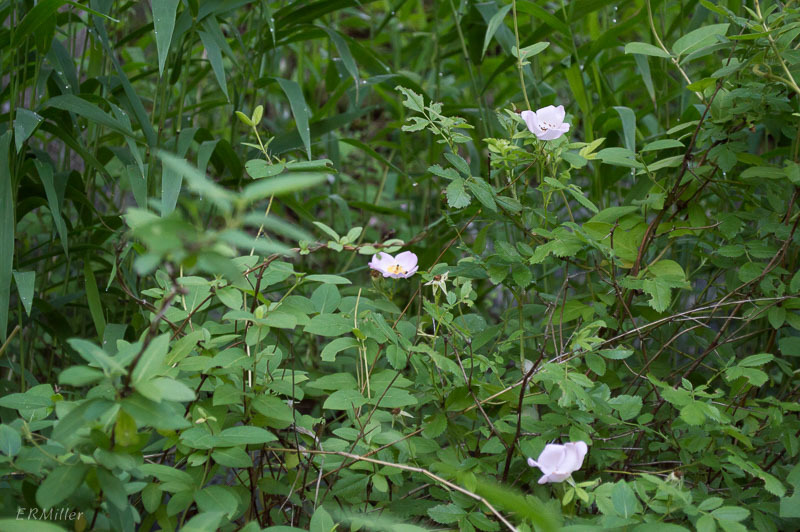 Unfortunately a few of these species are considered invasive: multiflora rose (Rosa multiflora) and wineberry (Rubus phoenicolasius) are two especially bad ones in the mid-Atlantic. 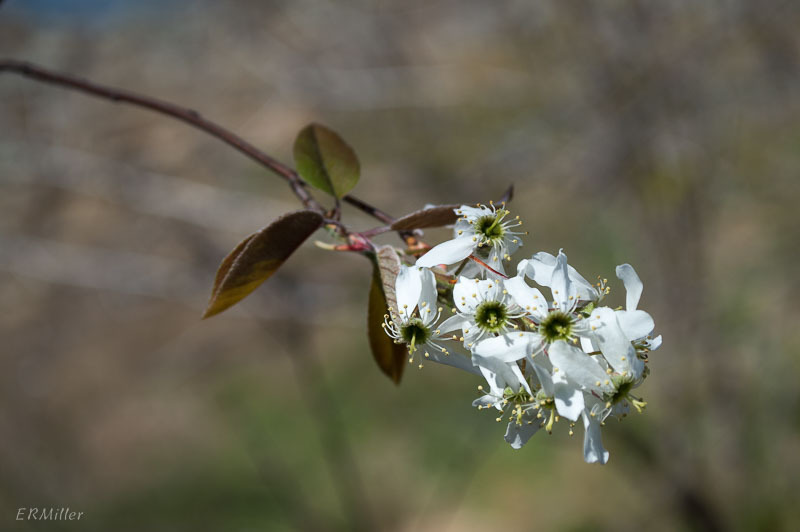 And then there’s the horribly prolific Bradford pear, a cultivar of Pyrus calleryana that was selected at the USDA Plant Introduction Station in Glenn Dale, Maryland, at one time a very popular street and landscaping tree. You can find them all over the place now, in quasi-wild situations like in the median of Interstate 95 north of the Washington Beltway. Ever notice all the beautiful white blooming trees there in early spring? Bradford pear. The above list gives an idea of how complicated the taxonomy of this family must be. Malus domestica is actually a catch-all name, since the genetic history of domesticated apples is incredibly complex. It’s believed that the progenitor of our more than seven thousand known cultivars of apple is M. sieversii, native to western Asia. Rose family plants form several different types of fruits. The various Prunus species bear drupes (colloquially, stone fruits), which consist of a skin enclosing a fleshy layer of tissue, which surrounds a hard pit or stone, which encloses the seed. Although we call them berries, the fruits of the Rubus species are also drupes, or more specifically they are aggregates of drupelets (a drupelet being nothing more than a small drupe). Apple, pear, serviceberry, loquat, quince, and medlar produce pomes, a type of fruit in which a skin and fleshy layer enclose a layer of cartilage, which encloses several seeds. And then there’s accessory fruits, in which tissue not derived from an ovary supports the actual fruits. In the case of Fragaria species the fruits are achenes (dry, hard fruits that don’t split open at maturity). So those annoying “seeds” of strawberries are the real fruits. 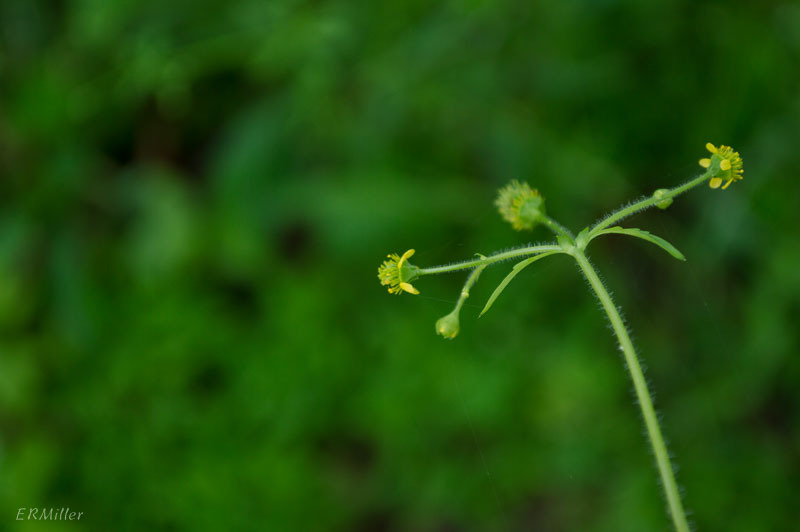 The fleshy part forms from the enlarged area at the top of the flower stalk. None of the fruits of rosaceous plants are true berries. In the botanical sense, a berry is an indehiscent fruit (meaning it doesn’t split open at maturity) that consists of a fleshy layer surrounding several or many seeds, and the seeds are not surrounded by a hard shell. So if the rosaceous “berries” are not actually berries, what are? Tomatoes. Grapes. Passionfruit. Bananas. Blueberries. A few of the rosaceous fruits listed above are native to North America: some of the Amelanchier, Rubus, and Fragaria species. Most of the cultivated Prunus species are Eurasian in origin, though there are some edible plums native to the new world. 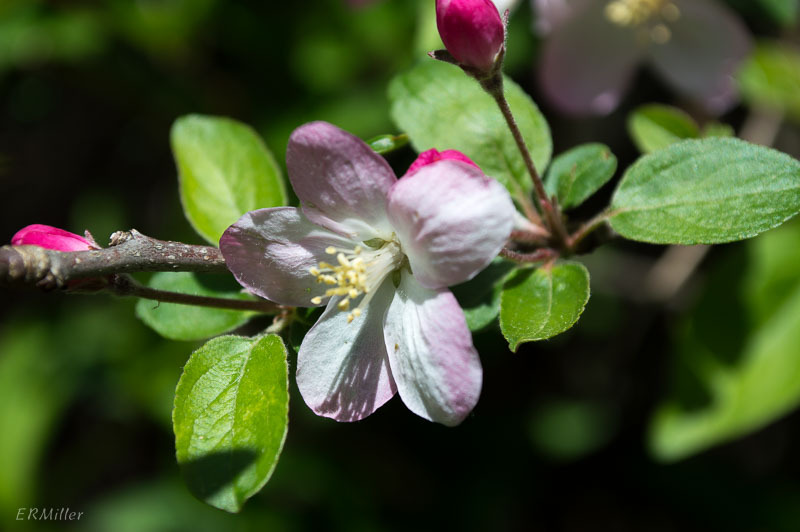 When it comes to the Rosaceae, there’s another factor: apomixis. Simply put, this is the ability of a flowering plant to reproduce via seed that has formed asexually. Which sounds wrong, because we all know that seeds are formed when ovules are fertilized by pollen…right? According to the Wikipedia entry, the genus Cotoneaster contains between 70 and 300 species, Crataegus between 200 and 1,000, and Rubus may have thousands. It seems futile, then, to say how many species are in the Rosaceae, but I’ll continue with a few more statistics. 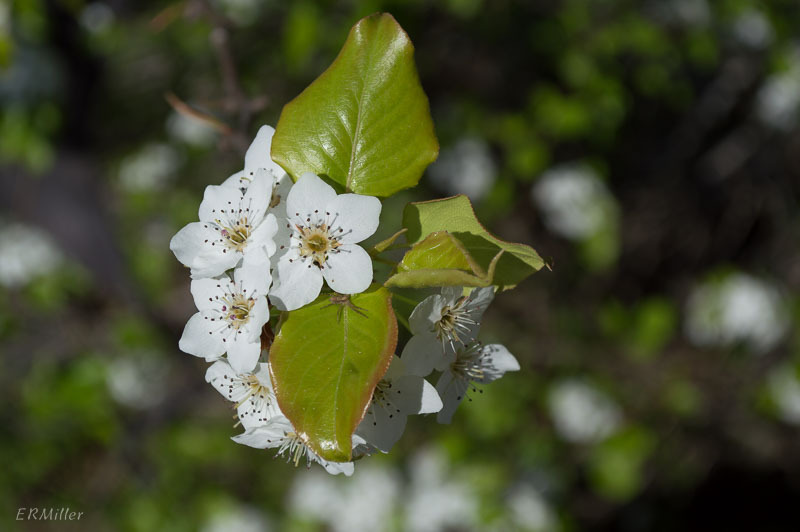 According to BONAP, the Rosaceae is the fifth largest family in North America (counting natives only), with 664 species. The Maryland Biodiversity Project has records for 142 species, about half of which can be found in the piedmont. About 40 of the Maryland species are aliens, eight are listed S1, three are S2, and five are S3. Species in the Roscaeae occur worldwide except the arctic and antarctic, with the greatest diversity found in the northern hemisphere. 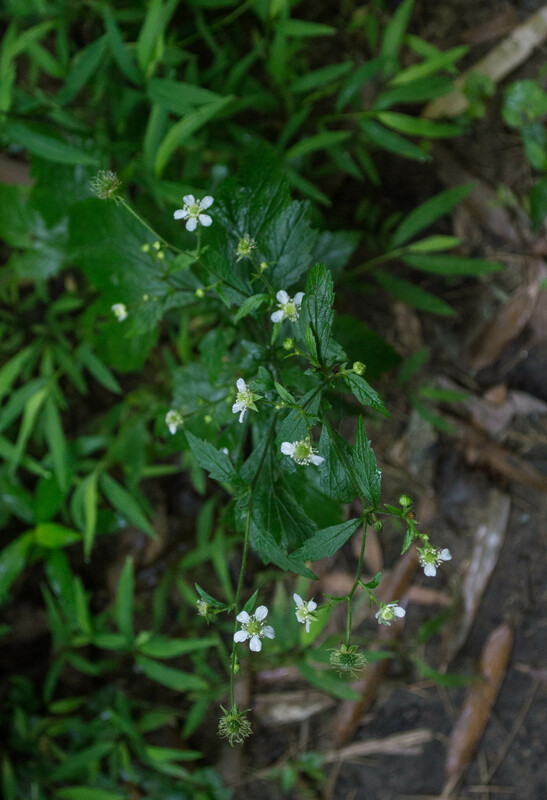 The flowers almost always consist of five sepals, 5 petals, and many stamens (ten or more), all fused together at their base into a cup-shaped structure termed a hypanthium. The flowers are borne in racemes, spikes, or heads, or sometimes singly. 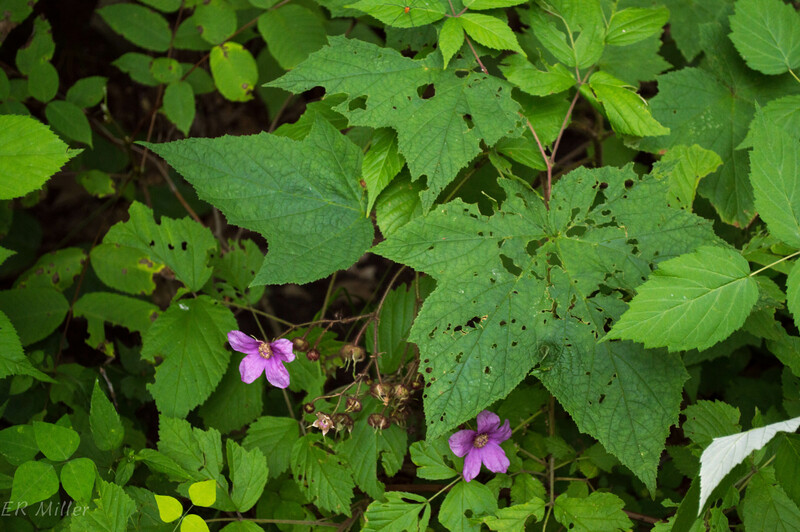 Leaves are usually arranged alternately on the stem, can be simple or pinnately compound, usually have stipules, and often have toothed margins. Herbaceous plants are usually perennials, and woody plants are usually deciduous. This is a family of major economic importance, and not just for cut roses in the flower industry. More on that next time.